Paul is Company Secretary of the MGET, with over 25 years experience of practical nature conservation work in the Cheshire area with Halton Borough Council and Cheshire County Council. This involved working on the Mersey Forest Project in its early days, then becoming the Nature Conservation Officer for Halton Council for 10 years. He was also previously a Trustee with Cheshire Wildlife Trust and RECORD, the local record centre. 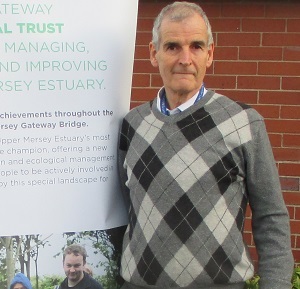 Paul joined the Mersey Gateway Project prior to its construction period to ensure contractual compliance on environmental matters and was instrumental in setting up the Mersey Gateway Environmental Trust. 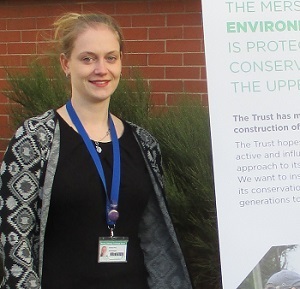 Andrea joined the Trust in January 2018 as the Biodiversity Manager. Before joining, she completed her PhD at the University of Salford, researching the impact of the Mersey Gateway Crossing on the ecosystem services that are provided by the Upper Mersey Estuary. Andrea has been actively working in the area for at least three years and has experience in a variety of environmental issues. Andrea previously studied and worked on several international environmental projects, e.g. in Germany, Sweden and Mexico. She enjoys everything outdoors-y, as well as cruising around in her 1989 VW Campervan (if it is not broken down and waiting for repairs). 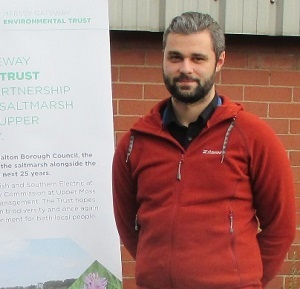 Daniel Alexander works with the Mersey Gateway Environmental Trust as the Monitoring Officer for the Beyond our Bridges project. His interest in Trust’s work began in 2011 when he volunteered as field assistant to a PhD researcher. The experience gained during this work determined what career path he would pursue, specifically that in the field of conservation ecology. Completing his undergraduate degree in Wildlife and Practical Conservation, Daniel moved to the University of Leeds to undertake post-graduate study in Geographic Information Systems. Daniel is now applying his academic training to his role within the Trust, specifically, monitoring the impact of habitat management on the avian communities in the Upper Mersey Estuary.